Go here for more about Richard Nixon's Resignation Speech. 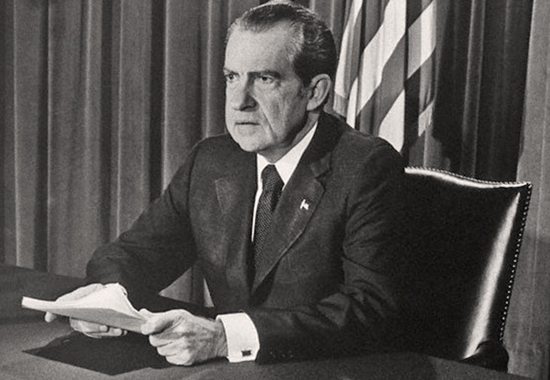 Here is the video clip of Nixon's televised Resignation Speech. Find text transcript below. It follows the full text transcript of Richard Nixon's Resignation Speech, delivered at Washington D.C. - August 8, 1974. I would have preferred to carry through to the finish whatever the personal agony it would have involved, and my family unanimously urged me to do so. But the interests of the Nation must always come before any personal considerations. May God's grace be with you in all the days ahead.